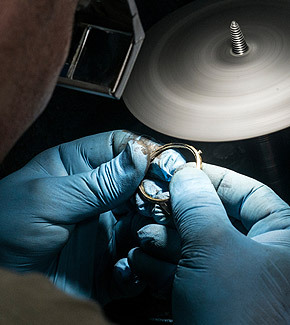 Servicing a watch is different from restoration, in that it can be likened to servicing a fine roadworthy vehicle to keep it running perfectly, as opposed to restoring a classic car to bring it back to usable condition. 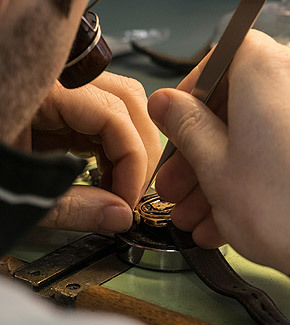 Our servicing procedures cover many aspects of regular watch care, from cleaning and polishing to checking and re-setting mechanisms, plus ensuring that all parts are in perfect working order. 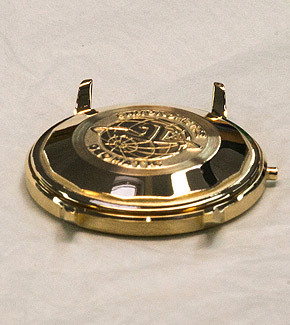 Where necessary, we will replace worn parts; these will either be manufacturers’ replacement parts or will be our own hand-made parts which we will firstly design and then build from the finest and most durable materials.